…in some ways the NATO intervention was right because it put an end to those wars, even though the result that came out was a delicate equilibrium. It was a military action that put an end to the war, it did not declare war, the war was there, there were dead, we intervened in a conflict that was already there, it was politically right. It was legitimate. […] I thought then and I continue to think now that it is legitimate even though the action of NATO did not find the authorization of the United Nations Security Council, fundamentally because of the Russian veto, nevertheless the EU as such had accepted, let’s say, the reasons of the NATO military action and expressed its support to this military action, its political support. 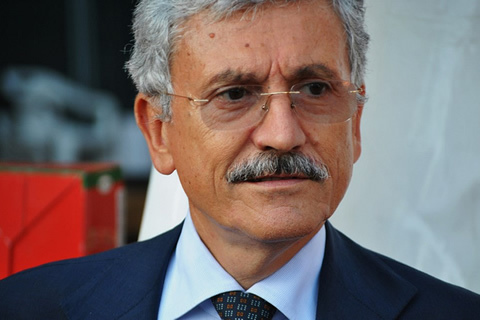 Massimo D’Alema (1949) was a leader of the Italian Communist Party (PCI) and the editor-in-chief of its newspaper, L’Unità. In 1991, when the PCI dissolved to become the Democratic Party of the Left, D’Alema was a member of the leadership of the new party. He has since held several high-profile positions both domestically and internationally, among which are President of the Council of Ministers of Italy (Prime Minister) from 1998 to 2000 as the head of a center-left coalition, and Minister of Foreign Affairs from 2006 to 2008. He is currently the President of the Fondazione Italianieuropei. Massimo D’Alema: Ask me questions and I will answer. Anna Di Lellio: Thank you President for this interview. We are here with Massimo D’Alema, who in 1998, precisely on October 21, was the first ex-communist to become Prime Minister of Italy, or thus we read in a book, a good book-interview, which came out right in July, I believe, in the summer 1999, in the immediate aftermath of the war. What does this mean? Why is it important to know that you are the first ex-communist to become Prime Minister? There is something… Why is it strange that an ex-communist Prime Minister or a communist makes war? We are talking of the intervention of NATO in Kosovo. Massimo D’Alema: It is certainly strange because all my politics, all my history has been… when I was a child, I was a member of Partisans for Peace, thus making war for sure was… I never expected to become Prime Minister or in particular to be Prime Minister and find myself in a war for the first time after the [Second World] War in our country. There are two first times: the first is that an ex-leader of the Italian Communist Party, not an ex-communist in general, a person who was a member of national secretariat of the Communist Party, became the head of the Italian government and it was the first time that Italy was involved in a conflict since the War. Afterwards there has never been anything like that, it remains a unique case. It was certainly a completely unforeseen and unforeseeable situation, and among other things not easy, because within the government majority there was the presence of the left, but also of the Catholic world, because the main cultural resistance to the use of force came also from the Catholic world. It was not an easy situation to manage domestically, it was a difficult, painful decision, lived with great political and also human anguish by the protagonists. At the time the vice Prime Minister was the current President of the [Italian] Republic Sergio Mattarella. He did not represent an obstacle, there was an understanding of the need for what we were doing, but certainly he lived this situation with great anguish. Anna Di Lellio: A few very interesting things in your speech of March 26, 1999 to the Parliament. You said, “This intervention in Kosovo is right, legitimate and due.” I am quoting from the text. Can you explain these three words: right, legitimate and due. Massimo D’Alema: It was right, because what moved us… politically it was right, I tried to explain the truth: we were not going to war, the conflict was already open, if we want to look beyond Kosovo; it was a Balkan civil war that followed the disintegration of ex-Yugoslavia, which was accompanied by a series of civil wars that provoked three thousand dead. We were not going to war, in some ways the NATO intervention was right because it put an end to those wars, even though the result that came out was a delicate equilibrium. It was a military action that put an end to the war, it did not declare war, the war was there, there were dead, we intervened in a conflict that was already there, it was politically right. It was legitimate. This was the must suffered point, there was a denunciation for violation of the Constitution by a group of jurists, it was archived by the Procura della Repubblica di Roma [Public Prosecutor’s office of Rome], it was a criminal denunciation against the Prime Minister. The theme is very controversial, and it remained controversial in the sense of the legitimacy of a military intervention motivated by humanitarian reasons, the humanitarian protection of the populations. I thought then and I continue to think now that it is legitimate even though the action of NATO did not find the authorization of the United Nations Security Council, fundamentally because of the Russian veto, nevertheless the EU as such had accepted, let’s say, the reasons of the NATO military action and expressed its support to this military action, its political support. And NATO, the European Union… these were strategic choices. Italy, according to the Article 11 of the Constitution, renounces, let’ say, to its sovereignty in the moment in which it participates in choices that are collectively operated by the international alliances and institutions of which we are members. Under the Constitution, our Constitution foresees the possibility, the necessity for Italy and thus the legitimacy of what we do, to make choices within international alliances or institutions. So, from this point of view the thesis of legitimacy was finally confirmed by the decisions of the judges. It had a constitutional foundation because it is true that Article 11 calls for the renunciation of war, but it is also true that Italy renounces its national sovereignty when it must act or make choices shared by the alliances of which it is a member. It was due because we could not standby while that was happening, an operation of oppression, an ethnic cleansing, whose consequences were tens or hundreds of thousand refugees, massacres, a civilized nation could not but react against, in my opinion, what was happening at our borders. So, there was among other things great support from public opinion. Then the conflict lasted etc. etc. and there were moments of more perplexity but the decision to participate in the NATO action had a large support in Italy and this was important at that moment. We also had political support, all the political forces, with very few exceptions, were in favor. Anna Di Lellio: But there was not support on the left, the left did not support the intervention. Massimo D’Alema: The left but also Lega, the Lega solidarized with Serbia, let’s say (snickers). Massimo D’Alema: On the left… nevertheless the dissent on the left was extremely contained, even within the government there was dissent. I said, at one point, “There is a war, we cannot debate, I take my own responsibility and if it ends badly I resign.” And there was at a certain point a sort of…those who did not agree, accepted to manifest their own dissent in an extremely contained fashion. We did not have clamorous manifestations of dissent, we did not have pacifist rallies, we had nothing of the sort, we had difficulties, difficult parliamentary debates, but dissent was very contained. I must give it to them, those who dissented and suffered accepted to suffer silently. Anna Di Lellio: You had a communist past, thus you certainly knew Yugoslavia, how did you feel? There was the dissolution of Yugoslavia, how did you see the situation, knowing the country well? Massimo D’Alema: The nationalist dissolution of Yugoslavia, the emergence of religious conflicts, was disturbing. On one side one thought about the miracle that Tito made when he built this mosaic. It was a miracle, he made these people live together for several decades. And on the other side also one understood how superficial this type of aggregation was. It had not removed the deeper reasons of conflict in one of the most tormented regions in the world, with the mix of three religions, Catholic, Protestant, Muslim, a borderland between empires, the Austro-Hungarian and the Ottoman, which were not only in contrast on power-politics, but also ideologically, they represented different worlds. The Balkans are a concentration of enormous contradictions and the fact that these reemerged from the depth of history, as if history had not passed, centuries had not passed, was impressive. This was not done, on the contrary in some ways Europe rode the contrasts in the Balkans along traditional dividing lines: Germany immediately took the side of Croatia, also because, let’s say, of a religious alliance, the Croats immediately presented themselves as the rampart of the Christian West against barbarism; the French never hid their sympathy for Serbs, in sum, a dialectic was opened again… The English encouraged the Islamic fighters to come to the Balkans… Yes, yes, why not? We also had this presence of radical Islamism, for a time it was encouraged (snickers), even now we have this presence of radical Islamism, mostly in Bosnia, it is rather worrisome. So, at one point the European Powers began to play in the Balkans as if we were at the beginning of ‘900 instead than thinking how to manage the dissolution [of Yugoslavia], the birth of national states, which was legitimate and perhaps inevitable. We had to manage [this situation] in the least conflictual way. Instead everything happened through wars, and naturally these wars had many culprits, certainly the main culprit was Serbian nationalism, which cultivated the illusion to keep together with force what was not possible to put together again. In the end, in the experience of Yugoslavia there was not only force, there was the capacity of Tito to build an equilibrium. He was himself a Croat in Belgrade, the expression of some equilibrium… there was the system of rotation [of the Presidency of Yugoslavia], brief, there was an equilibrium, a compromise. The idea of replacing that type of compromise through force by Serbs was a failure, mostly for Serbia and here there is the historical responsibility of Milošević, but on the other side also the myopia of Europe that did not guarantee a peaceful, as consensual as possible management, of the process of birth of different nations. Anna Di Lellio: Did you know Yugoslavia? Had you visited Yugoslavia? Massimo D’Alema: We had relationships with the League of Communists of Yugoslavia, when I was the secretary of the Italian Communist Party in Puglia, we had this “twinning” [partnership] with the League of Communists of Montenegro, I went very often to Titograd, as it was called back then, to Bar, Cetinje, I knew Yugoslavia. Anna Di Lellio: How did it look to you as a country? Anna Di Lellio: And Kosovo? What did you know about Kosovo? Massimo D’Alema: I knew very little about Kosovo, Kosovo was not one of the parts I knew, I knew Montenegro, Slovenia in some way, yes, but not Kosovo, I had no direct knowledge of Kosovo. Anna Di Lellio: We are conducting this interview on 16 January, the 20th anniversary of this incident, the massacre of Reçak, which had an important role for NATO intervention. Anna Di Lellio: Can you tell us your reactions when you received the news? It was an expression of cynicism and of lack of understanding of what was brewing mostly because the Americans pushed, Clinton was very important, but anyway in Europe the understanding was growing that we could not continue to standby and do nothing. Reçak was very important, it was a rupture for European leaders also for the impact that it had on public opinion. Massimo D’Alema: The US drove a lot, mostly Albright and Clinton, surely it had an important role, and then in the management of the conflict and after the conflict Clinton had a very positive role. Anna Di Lellio: With whom did you talk among the other leaders [during the intervention]? It was I who said, with all my anguish, my perplexity and my political problems, “If we need to do this I want to participate in the political decisions, we are not a launching…” And if you look at it, we had a very similar military role to France and England and greater than Germany. We were fully involved, and the Americans appreciated this, it was an important reason for the appreciation on the part of the Americans, but I say it again, it was our decision. We could have had a lesser involvement, but why? Massimo D’Alema: My concern was to avoid that Italy be in a sort of second tier position, I wanted to participate directly because I was interested in the “after,” what would have happened later, in the consequences. The other concern I had since the beginning was clearly that the situation in Kosovo and the conflict would have had as its first effect a wave of refugees and I did not want to have “boat people” (in English) in the Adriatic because they would have come to us, where would they have gone? To us. It’s not that the refugees who had gone from Kosovo to Albania would have had other possible destinations, so, there was a whole consequence that had to be managed by being within the general staff of the military operations. My international political experience told me that when there is a military operation those who put boots on the ground are more important than those who stay home. No, no. Therefore, there was a permanent consultation, in particular with Clinton, let’s say, up to exchanging of cell numbers, let’ say, and later also with other statesmen, and in a certain phase in particular also with Schroeder and Chirac, because at one point there was a certain dissent with the English about how to proceed. And also, when things developed in the sense of a military operation, also with Gen Clark through the military or directly with him. No,no. There was a system of permanent consultation according to need and then at one point there was a meeting, a rather difficult meeting, where we took stock of the conflict, it was in Washington DC, on the margin of the 50th anniversary of NATO, because during that time there were the celebrations of the 50th anniversary of NATO, there was the adoption of a new strategic pact of NATO and there was a meeting on how to proceed. And this happened more or less on the 60th day of bombing. So, Italy was totally in the field from the military point of view, with an argument, it was a tough argument at the beginning and from a certain moment on how to proceed, on two aspects. The first was bombing Serbia and we were against it, the Germans too were against it, and at one point the Americans and the English said, “Very well, we will act without NATO’s structure, without using NATO’ assets,” and thus these military operations were carried with assets that were not NATO’s, so, with bomber planes that took off directly from Pennsylvania or with missiles that were launched from English boats, not from NATOs’ assets, not taking off from Italian bases because we didn’t agree with this. Clark has written about this. At one point there was an even more challenging discussion because the idea was put forth of a ground conflict, brief, a land invasion force, and we discussed this option, which was supported by Blair and Aznar, and it was rather forcefully rejected. First of all, NATO military made clear that they did intend to send their soldiers to the mountains of Kosovo, because a ground military operation meant invading Serbia, because only that would have put an end to the conflict, not a guerrilla with Serbs on the mountains of Kosovo, which was considered an undesirable option. There was another plan, and in my opinion, wiser people, among whom I put myself, said, “You are crazy, what do we do once we occupy Belgrade, please?” It was neither here nor there. There was a rather unpleasant discussion and I must say that at the end Clinton intelligently concluded, without entering in the merit of the discussion, he said, “We will only do what we are able to do together, the President of the US cannot be the one who divides Europe.” I remembered that at about the time of the Iraq conflict. Clinton was on another level, he had another vision, so he closed this debate, putting aside this hypothesis, which was discarded. So, we went ahead, and there was a continuous discussion and in some moments also a rather problematic discussion on how to proceed from the military point of view and there was also a more political discussion. Another aspect was the relationship with Islamism. At one point we worried about the influx of Islamic fighters, which I don’t want to say the English intelligence service helped (snickers) but did not contrast and this was a topic for a rather agitated discussion and then there was a discussion on the political conduct of the conflict, because the conflict had a limited goal, which wasn’t the independence of Kosovo, but it was to force Belgrade to withdraw its military and its paramilitary groups from Kosovo and the protection of the population and to force… anyway, all this had as a goal the political solution, we had to bend Belgrade through military pressure, action, to accept this condition. Naturally we said, very well, but here we need to be concerned with two things: as the military operation goes on, how to develop political pressure, and also think about what will come afterwards, the settlement. So, we worked in two directions, together with the Americans, Clinton in this was forward looking: first involve Russia in an action… let’s say, at one point the action was conducted on our behalf by Ahtisaari, he was charged, Ahtisaari, the ex-president of Finland, with leading the political action and on the other side involve Russia, also because we had to prepare the possibility that the conflict could find a solution at the Security Council of the United Nations. So, the Russian government charged Chernomyrdin, ex-Prime Minister of Russia, to establish contacts. And Chernomyrdim did it with our agreement.He used to come to Rome, it happened several times, we met at Palazzo Chigi, had dinner together, called Clinton and our secret services took him with their planes to the other side of the Adriatic to meet Milošević or whoever represented him, and this was important, because it created the conditions for, let’s say, the solution that we found later. The other operation we did was to obtain from Milošević the release of Rugova. Because we thought, and rightly so, that Rugova could be, for his history, the man who could represent, after the war, a perspective of peace. I did not have much sympathy for the UÇK [KLA] as… and so the idea of finding a personality who was clearly very strongly engaged for the rights of the Kosovar people… immediately after the war there were elections and Rugova… it was a plebiscite [for him], so he was a personality who had strong ties, a history of struggles, but also a pacifist, not a fundamentalist, he was even Catholic, in a conflict that saw Muslims and Protestants, ehm, no, Orthodox, he was outside the ideological and religious aspects of the conflict, he was an intellectual with a background in French culture. We obtained his liberation, Milošević was persuaded, [there were] long discussions, and here Dini had a key role, Dini had good relationship with them. Paradoxically I, as an ex-communist (snickers) should had been a better friend, but I was much less of a friend than Dini from this point of view. Anyway, at the end they were persuaded that even for the goal of a less extremist management it would have been useful to recover… Rugova was released, we took him to Italy, we hosted him in Italy and as soon as he came to Italy we talked of course, he held a press conference in which he thanked NATO because it was defending his people. And I remember that Clinton called me, on my cell phone, and told me, “Grazie, grazie, bravo, very well, a great operation” (laughs). At first, he has been szzzzz [onomatopoeic] they were perplexed, then the situation evolved very positively. The return of Rugova was a triumph, his electoral victory was a landslide, then unfortunately Rugova died very early from cancer, so, he could not exercise his role for long, but he remains an extraordinary figure, he is still now a very important symbol. Last time I was in Pristina I went to visit his family, they all grew up, the children, they remembered when the head of the secret services bought them ice cream (laughs). Anna Di Lellio: Many more, 800 thousand. Massimo D’Alema: Those we managed were 300 and within a few weeks, that would have had a devastating impact, without management we would have had boats in the Adriatic, Albania was not able to hold the pressure…Nobody noticed anything, it had zero impact on [Italian] public opinion. So, we welcomed them in Albania with other volunteers and all those people who engaged in it. Another thing, we had no meeting in Brussels, it was done on the phone, with Austria, Germany… in Italy we organized a Kosovar village in Sicily, we picked them up with airplanes, ships, they did not come by boat, and nobody drowned. This shows that emergencies can be managed, if there is some solidarity they can be managed, it is not necessary to be overwhelmed. This was possible because we were there, in the military command. Anna Di Lellio: I can confirm this, I remember when in Kukës, you know, when the management of a very large refugee camp passed from the Italians to the Americans there were great protests because the quality of the treatment of the refugees fell significantly, from the food to human relations, I remember that they moved from pasta to hamburgers and chips, it wasn’t very…This camp of Kukës, where I worked in 1999, I believe you visited it at one point…what were your impressions? Massimo D’Alema: Yes, I went there a little before the military operations began, I was there in…for Easter, I went there to spend Easter. Anna Di Lellio: So, April. Anna di Lellio: April? The war began on March 24. Massimo D’Alema: March? I don’t know when it was Easter, anyway I went there for Easter. I remember it was rather impressive. It was rather impressive to see this backward Albania, where a river of people was arriving, they were fleeing, but anyway they had VW Golfs, you had the impression that they were fleeing a country that was richer… and then certainly, those people, what they had experienced! I saw scenes…it was evident, old people, wounded in their legs with bayonets, it was clear there, as people were fleeing, pursued by a military force, the idea of humanitarian protection appeared in all its evidence. It was also good to see this Italian presence, these volunteers, what represents the best face of our country. No, no. It was a very strong human experience and the confirmation that something had to be done. The intervention was due, it was due because we had to react against something that was unacceptable from the point of view of humanity, of civilization, an unacceptable brutality. Anna Di Lellio: You talked about the debate on the use of ground troops. Did you have any doubt later, knowing what happened, because during the war there was no protection, there was the total control of the Serbian security apparatus. Atrocious crimes happened in the field, rapes, killing, destruction of homes, destruction, there was nobody who could…The UÇK could not obviously protect the population from this big army. Did you ever think of it? Massimo D’Alema: Yes, but let’s be clear. It’s not that a military campaign in Kosovo could have immediately protected people. A conflict like that would have likely lasted for a time, would have had a duration. Beyond the disproportionate forces, Serbs had huge advantages on the ground, it would not have been easy and in my opinion, it would have had a huge cost in terms of human lives. I don’t know whether this would have increased or reduced the costs…It is difficult to evaluate this, very difficult to evaluate this, and anyway the consequences also from a political, juridical point of view, the rupture, because, brief…even the bombing was a rupture, the invasion without the authorization of the Security Council of the United Nations would have represented a breach of international legality which would have been repaired with difficulty. While after all, at the end, we also had to rebuild. Finally, also because we did not invade, we could find a solution, the resolution of the Security Council that reconstituted a framework of international legitimacy. Otherwise afterwards it would have been very difficult to manage the postwar in political terms. That is, we must understand how delicate it was what was happening. Finally, also because NATO remained within some limits, it was possible to say, “Very well, let’s create a multinational force, let’s have a resolution of the Security Council, at that point our military enter in Kosovo in a framework of a completely repaired international legality.” I think that post hoc it was certainly much wiser to act the way we did. This implied costs, no doubt, many civilian losses, the majority of losses have been civilians also on the part of Serbs, because there was the collateral damage of bombing, as much as they had precise targets. All this is certainly painful. In my opinion, the non-intervention or an intervention of another type would have implied equally painful costs. In return, what we did finally led to a solution, a sustainable solution, honestly, at one point the UN had to come back into play, we could not have thought that they could have been put out of the game, this would have meant enormous systemic damages, and the fact that NATO military did not set foot in Kosovo was one of the conditions for the UN to get back in the game. There were many aspects to consider, including these political, juridical aspects that we could not forget. Anna Di Lellio: I would like to close with two questions, one general and one a little more specific, following what you just said: Does Kosovo, the intervention in Kosovo, teach anything? I am thinking about what happened in 2011 in Libya, it was also an intervention to protect civilians, authorized by the Security Council, which went in a certain direction. If Kosovo can be considered a precedent of something, how do you see it? I found myself, after years, more recently, as Minister of Foreign Affairs, managing the passage, at the end of the mandate, the passage at the Security Council, when the document of Ahtisaari was proposed on the independence of Kosovo. There was no agreement, I presided that Security Council, because fate wanted that that dossier arrived to the Security Council during the month in which Italy was president, Italy was member of the Security Council and it was President, it was its turn. I was the Minister of Foreign Affairs, and said, we had a very good Ambassador, but I said, “I am coming,” given the relevance…. I presided the Security Council, with Koštunica, the Kosovars, with all the protagonists who were there, I advanced the proposal, I took note that there was no consensus, the Russians…it was an important meeting, I found myself crossing path with Kosovo years later, it was a different situation but not less relevant, let’s say. But during my mandate of Minister of Foreign Affairs, I went to Belgrade to inaugurate the Institute of Culture in Belgrade. It was a delicate passage, because as I am known in Kosovo, in Belgrade too they know I am one of those who went to war… It was an event with many people, I met young people, young, who told me, “Yes, you went to war with us but at the end you liberated us too, you liberated us too.” In part of the Serbian public opinion, yes, nationalism is still strong, but there is a part of the Serbian public opinion that saw that process also as the beginning of democratization, of liberation for Serbia too. The war in Kosovo also had this meaning… but there was an idea of what had to happen later, the idea was not realized, but an objective was obtained, they stopped killing each other, they had been killing each other for ten years. We cannot forget that the war in Kosovo was the concluding episode of a chain of horrible conflicts, so, I believe that there is a difference: one thing is when war becomes, as von Klausevitz said,” the war is the continuation of politics with other means,” but anyway is within a political process, but it is different when you think you can substitute politics with war. And then you cause trouble, like in Iraq or Libya, because war…sometimes the use of force is inevitable, but politics has to have primacy. When, I repeat you have no political idea, when we say, “We don’t know what is happening, we don’t know what to do, let’s drop two bombs,” things do not work well and in fact we saw that. So, from this point of view I am against…I was never a pacifist, but I always thought that politics must come first. When politics loses its primacy, in war as in the economy, normally things go badly. Massimo D’Alema: This has been a choice… the Foundation I am the president of has a collaboration with the Minister of Foreign affairs of Kosovo and we have a contract. He has funds for international cooperation. Anna Di Lellio: How do you see your work here, the prospect? Massimo D’Alema: Many years have passed, and I believe that the prospect for the Balkans is to complete the process of pacification and began a more intense collaboration and there is progress in this direction. I participated with Joschka Fischer and Védrine as testimonials in a meeting of the statesmen of the Balkans in Tirana. It was very nice. Political and economic collaboration, final peace is the prospect for which to work and along this road it is clear that the big unresolved issue is reciprocal recognition between Serbia and Kosovo and so, the beginning of reciprocal collaboration. The negotiation is open, I must say the European Union worked here very positively with positive intents, also because this is the condition that favors a process of integration. I remain convinced that the European Union should be open to the integration of the Western Balkans even though I know that there are oppositions, perhaps is not realistic to think this can happen in the short term. The negotiation is open. It is a difficult negotiation, in my opinion the Kosovar side, while the Serbian side looks more … not that there isn’t strong resistance to this negotiation, a principled resistance, those who say, “We must never recognize Kosovo,” because that Kosovo is part of Serbia is written in the Constitution, they should change the Constitution; there are oppositions… for example, the Orthodox Church is completely against, internationally the Russians are very cautious, but the majority of the Serbian leadership is, seems oriented to look for an agreement. On the side of the Kosovar in my opinion, there is no clarity on what they want, on what they are inclined to negotiate, there is a division, this theme has been object of an evident dissent between the President of the Republic who is mandated to conduct this negotiation and others, the Prime Minister, who have always contested him, in particular contested the territorial swap, a revision of borders which instead from the beginning is the goal of Serbs. In my opinion you cannot conduct such delicate negotiation without a degree of national unity – I always advised my Kosovar friends, “Before you discuss with Serbs you must agree among yourselves” (smiles) – and without a clear idea of what they want to obtain and what they are prepared to concede…a negotiation is always made of these different aspects. I don’t see particularly favorably a change of borders because we are in a part of the world where the borders are so delicate that this risks to ignite…unless the operation is shared, accepted, limited and guaranteed internationally. There! We, we as cultural foundation, also put forth a proposal, I am not saying not an alternative proposal but an interesting proposal in my opinion: the creation of a free-zone [ENG], a cross-border development area, according to experiences already done in other parts of the world, where there have been conflicts, etc. So, across the north of Kosovo, the Serbian enclave let’s say, with a Serbian majority, and the southern part of Serbia, a Serbian-Kosovar integrated development area, where people can work together, with free circulation of people, to defuse the theme of borders and to prospect something more than peace, but a real collaboration. Anna Di Lellio: The true border is the city of Mitrovica. Does it include the southern part of Mitrovica? I have not understood what the Americans want, Americans first said, then they denied, first they said that did not oppose territorial swap, then denied it. The attitude of Americans is not helping very much, my feeling is that certainly, Europe is very interested in a solution, also because this means, how to say, to open a prospect of collaboration with all the countries in the region, but both Americans and Russians do not seem equally interested, on the contrary they seem to want to keep the tensions that are played on the chessboard of American-Russian difficult relationships. Putin goes to Belgrade, but Americans seem to encourage the positions let’s say that are more rigid in Kosovo, rather than those which are more open to dialogue. Personally, I think, let’s be clear, that this agreement is absolutely necessary, I would like to say even more for Kosovo than Serbia. In the end Serbia is part of the United Nations, it has a strong growth, there are strong international investments, yes, it is true that until they make peace with Kosovo, they will have trouble with the European Union, but right now the European Union is not able to offer great prospects. Instead Kosovo, if it remains in this situation of semi-recognition, pays a higher price. So, If I could give an advice to my Kosovar friends, “Try to find an agreement, try to push for an agreement, don’t lose this window of opportunity,” that is, if we arrive to the European elections, we must start from zero. Now this story is managed by the current Commission, the current High Representative, Mogherini, who is very engaged, in my opinion very well, with a good direction. If we don’t find a way now, the risk is that everything is postponed, and this is not positive. Not positive because we live in a moment of great international tensions and usually when there are international tension, these are reflected in the Balkans. It is a historical fact, it belongs to the history (snickers) of the last two-three centuries. If, let’ say, in the Balkans, the elite go back to place themselves at the service of this or that foreign power, in my opinion the Balkans will pay a very high price. If they understand that the only prospect for them is to find an agreement among themselves as a condition for development of that region, I think that there are extraordinary opportunities for development. All in all, there is an elite that represents a new generation that can, I think… if I think of Edi Rama in Tirana, Vučić himself, they could be the protagonists of an historical turn, if they have the courage to do it. Naturally, who does not have courage cannot give it to themselves, as a great writer said. What we can do is try to help. I always said that having done the war, I would like to contribute to the peace. Anna Di Lellio: And with this, if you have nothing more to add, we can conclude. Massimo D’Alema: There would be many things, but we said enough. Anna Di Lellio: Alright, thanks.